Get those flashing alarm emojis on deck because there is some BIG NEWS on the horizon. 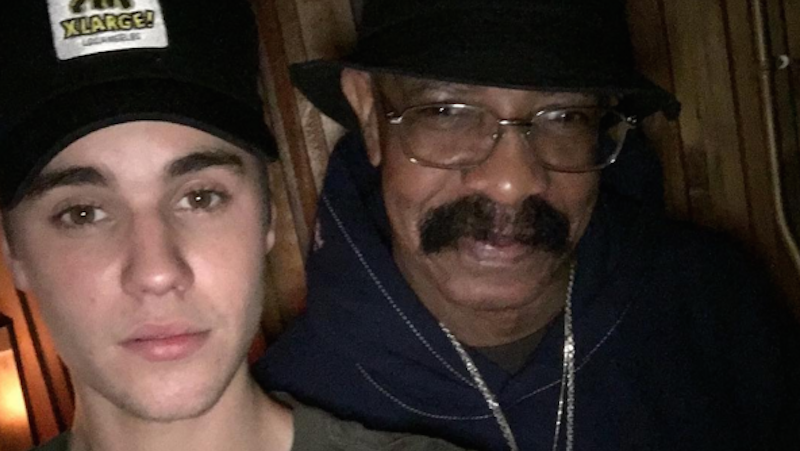 Young Bieber and the father of Aubrey Drake Graham are collaborating...on something. This news was naturally broken through an Instagram a selfie of the pair and a vague caption that hints at something music-related. True Drake stalkers will know that his father, Dennis Graham, was a musician, meaning that this sort of makes sense. So what exactly is happening? Is Justin Bieber producing music for Dennis Graham? Is Dennis Graham producing music for Justin Bieber? Preferably, are Justin Bieber and Drake working on something that tangentially involves Dennis Graham? Yesterday Dennis posted pictures from a music studio where we see him playing the drums. There’s no direct mention of the Biebs, but Justin did pose for a selfie so you can’t say that something serious isn’t happening. Is the world ready?